Dear all fans. 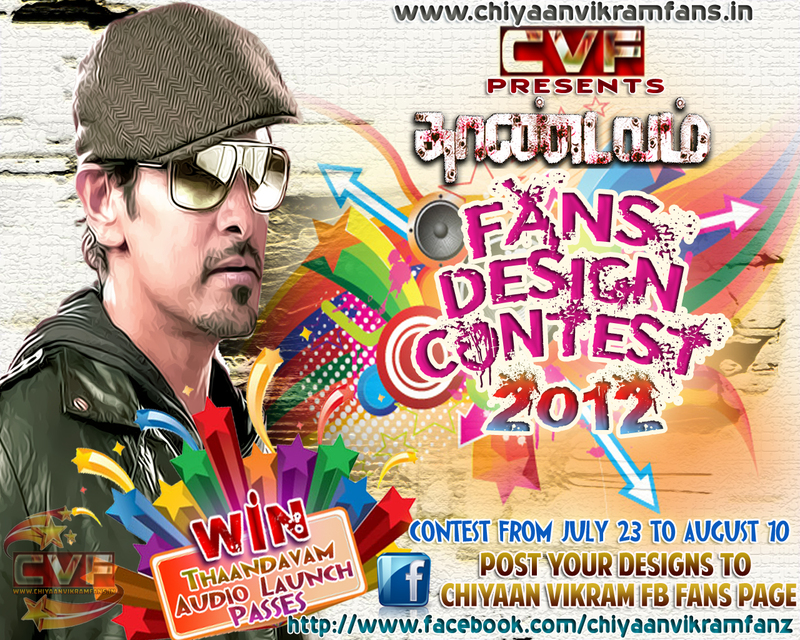 CVF bring you a Thaandavam FANS Design Contest to give an opportunity for the Top 5 Designers with the passes to take part in Thaandavam Audio Launch function in Chennai on August 15 and witness the Stars nearby. 1. Participants should submit 2 designs only. 5. Judges decision is final.